Buy 1 for $11.59Buy 2 / Save $0.62!Buy 3 / Save $2.32! 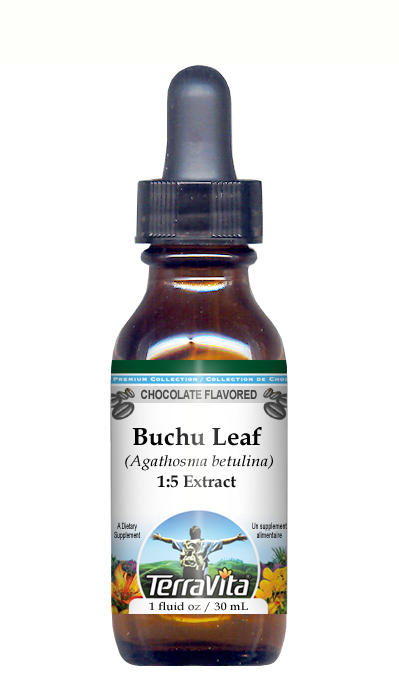 Buchu Leaf is also known by the names Bucco and Diosma. Native to South Africa, the word Buchu is from the Hottentot word for the plant, bookoo. The two primary species of Buchu used commercially are Agathosma betulina (synonym for Barosma betulina) and Agathosma crenulata (synonym for Barosma crenultata). The principal constituents of Buchu leaves are volatile oil and mucilage. Buchu also contains diosphenol, which has known antiseptic properties, and is considered by some to be the most important constituent of the herb. The Cape Government of South Africa exercises strict control over the gathering of Buchu leaves, and has lately made the terms and conditions more onerous, in order to help avoid the wholesale destruction of the wild plants, no person being permitted to pick or buy Buchu without a license. Cultivation experiments with Buchu have been made from time to time by private persons, and during World War I experiments were conducted at the National Botanic Gardens, Kirstenbosch (near Cape Town), the result of which (first given in the South African Journal of Industries, 1919, 2, 748) indicated that, under suitable conditions, the commercial cultivation of Buchu should prove a success. The plant is particularly adapted to dry conditions, and may be cultivated on sunny hillsides where other crops will not succeed. Buchu may be used in any infection of the genito-urinary system, such as cystitis, urethritis and prostatitis. Its rejuvenating and soothing properties indicate its use. TerraVita is an exclusive line of premium-quality, natural source products that use only the finest, purest and most potent ingredients found around the world. TerraVita is hallmarked by the highest possible standards of purity, potency, stability and freshness. All of our products are prepared with the highest elements of quality control, from raw materials through the entire manufacturing process, up to and including the moment that the bottles or bags are sealed for freshness and shipped out to you. Our highest possible standards are certified by independent laboratories and backed by our personal guarantee. TerraVita exists to meet and ensure your family's health and wellness without the harmful effects or chemicals and prescription medications. We strive to make all of our products affordable and reliable and are constantly searching the market to maintain our affordability and to look for new ways to serve you and the ones you love. TerraVita has become a trusted household name for many families and can bring you and yours the very best herbal supplements, blends, teas and spices that are on the market today. TerraVita is packed in tamper-proof, food-grade, recyclable containers.